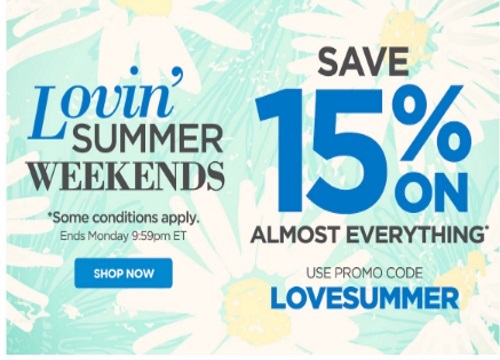 The Shopping Channel is offering 15% off on almost everything with the promo code below during their Lovin Summer Weekends! Enter the promo code LOVESUMMER at checkout. Offer ends Monday, August 1 at 9:59pm ET.